I live in a basement and up until I made these curtains, didn’t have window coverings on some of my windows at all. Totally creeped me out at night! 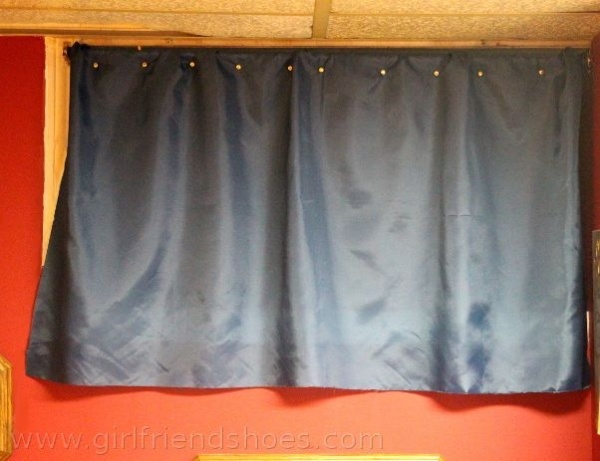 I had some material and a set of curtains that had been used on other windows before but they are tabbed curtains so wouldn’t have done the trick on my windows since they are basement windows and have no room for hang at the top. 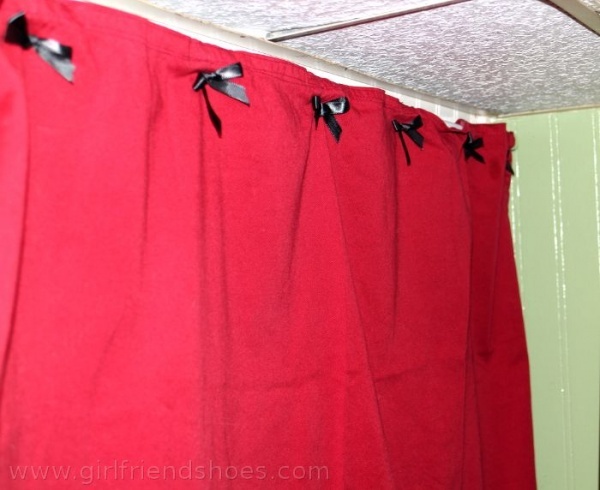 What I did was fold over the tabs to the back side of the curtain, attached with safety pins. When I put the safety pin through the material I also put it through the back of little black ribbon bows I made before polking it back through and closing�the pin on the other side. I had just enough of this teal material to cover another basement window. I used little grommets and butterfly clips through the grommet holes. I was feeling very impressed with my creativity here, then I realized something…grommets are used all the time on curtains they are just ten times bigger. The grommets I used aren’t big enough to put a curtain rod through. 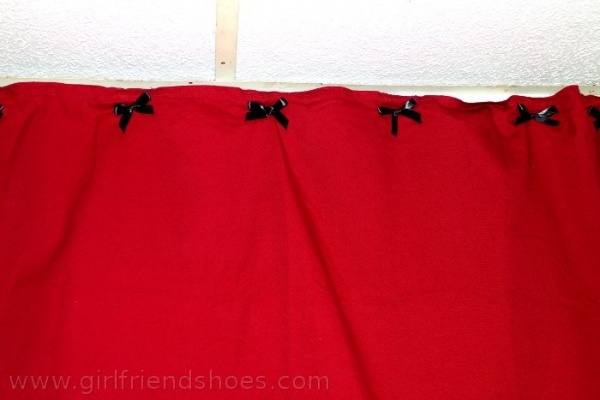 I used the butterfly clips to make sure the fold on the back side of the curtain stayed secure and to fill the grommet hole. 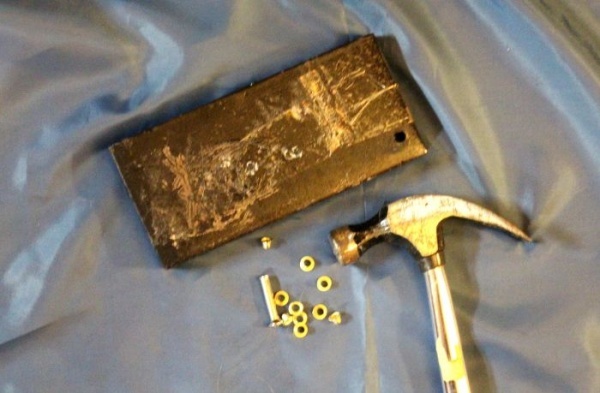 �The curtain rod just went through the fold of material. I am glad to finally have basement window curtains, so much more comfortable walking around at night. The teal curtain is somewhat sheer so I put that in the bathroom where the window is off to the side. I have a bunch of material that I’m not sure what to do with, it’s all very sheer. I have a silver/grey color and pale pink. I already have a netting hanging over my bed but maybe some nice bed draperies instead?